In March 1998, Hughes Space and Communications Company of El Segundo, Calif., was selected by PanAmSat Corporation of Greenwich, Conn., to build PAS-6B, a Hughes HS-601HP spacecraft model to provide direct-to-home television transmissions in South America. The satellite was launched Dec. 21, 1998. As a Hughes HS-601HP, PAS-6B carries the latest technological advancements in satellites: dual-junction gallium arsenide solar cells and a xenon ion propulsion system. The solar array on PAS-6B generates 8 kilowatts of power. The xenon ion propulsion system, "XIPS," is 10 times more efficient than the propulsion systems currently in use and enables the satellite to carry more payload. The 7-kilowatt payload consists of 32 Ku-band transponders that are powered by a combination of 105 watt and 140 watt traveling-wave tube amplifiers. Designed to provide a minimum of 15 years of service, PAS-6B is the fourth Hughes 601HP to serve PanAmSat. 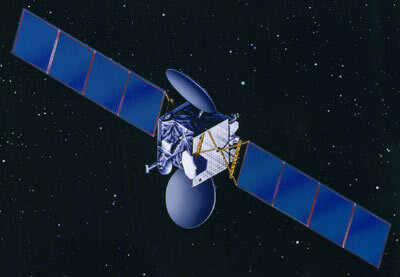 Intelsat changed the name of the PAS satellites to Intelsat effective to 1. February 2007. In 2003 PAS 6B lost the secondary XIPS engines additionally to the earlier loss of the primaries, which wil lead to a reduced lifetime.